Day 1 saw Mercedes Moore compete in her first ever British Championships in the espoir competition. Mercedes finished the competition as the 4th best gymnast in Great Britain in her age category and we could not have been any prouder of her performances!! Not only was she 4th all around, she also qualified for the bars final in 1st place and the vault final in 3rd place! Well done to our 3 juniors Leah Greenland, Lydia Collins and Honor Rouse who competed on day 2 of the British Championships. All three girls performed some fabulous routines with Leah finishing in 11th place after a costly mistake on bars, Honor 25th and Lydia 26th. Leah also secured herself a vault and a beam final and Honor 1st reserve for the beam final! 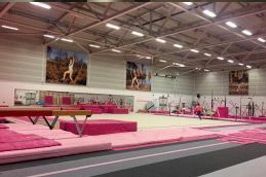 Very proud of both Leah Rockett and Mia Scott who had great competitions against the top senior gymnasts in Great Britain on day 3. Leah finished her competition in 26th place overall and Mia in a fantastic 14th place in her first year as a senior!! Gorgeous routines shown by both girls throughout! A fantastic morning on the final day in Liverpool for the Espoir & Junior Apparatus Finals with our pink ladies competing on 3 of the 4 apparatus. An amazing experience for Leah, Honor and Mercedes ..and a huge achievement for the club to have 3 gymnasts in the top 8 in Great Britain. 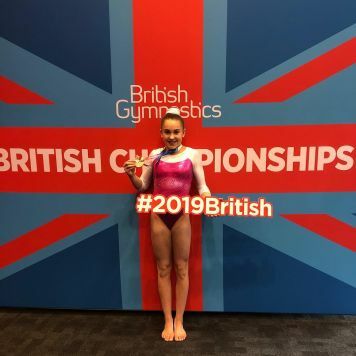 A perfect end to our 2019 British Championships with Mercedes taking the bronze medal on vault with her new full twisting yurchenko - massive congratulations!! !